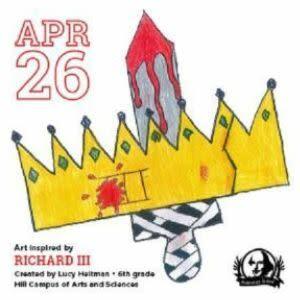 The DPS Shakespeare Festival is the oldest and largest student Shakespeare festival in the country, and perhaps the world, and includes thousands of students and teachers from schools all across the region. The nationally recognized festival is one of only two sites to have received the coveted Folgers Library Shakespeare Stewardship Award. Donning theatrical costumes, 5,000+ students from 90+ schools attend the DPS Shakespeare Festival. The Shakespeare Festival provides a forum for students to perform sonnets and scenes from the works of Shakespeare, as well as demonstrate dance and vocal and instrumental music of Shakespeare's time. This day-long festival is held in downtown Denver and provides the opportunity for students to perform scenes and sonnets from the works of William Shakespeare as well as demonstrate the dance, and vocal and instrumental music of Shakespeare's time. The Festival opens with ceremonies at the Daniels and Fisher Tower, followed by a short parade down the 16th Street Mall to the DCPA stages. Performances last throughout the day on multiple stages and are open and free to the public. Thousands of students have come to understand and delight in the works of Shakespeare because of their participation in the Festival.